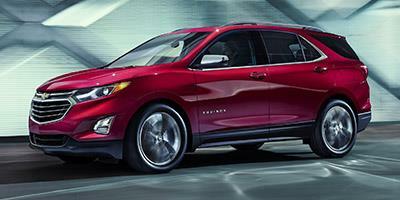 The Equinox has helped Chevrolet redefine its image and has put it in strong contention in the highly competitive crossover SUV market in North America. Base models come with 17” alloy wheels, automated headlamps, LED running lights, parking camera, heated/powered side mirrors, remote entry/start, tilting/telescoping steering wheel, rolling Wi-Fi, 7” touchscreen, Bluetooth/smartphone/USB integration, and six-speaker audio system. Available options can add features like heated/powered front seating, larger (up to) 19” wheels, roof rails, leather upholstery, powered sunroof, privacy glass in the rear, standard household electrical outlets, collision mitigation system, automated climate control, GPS, all-LED exterior/interior lighting, wireless phone charging stations, heated rear seating, premium Bose audio system, and more. Powering the Equinox is a turbocharged 1.5-liter four-cylinder engine that puts out 170 horsepower and 203 pound-feet of torque.